I've been itching to paint my walls black after seeing how beautiful it looks in the homes of modfrugal, doorsixteen, and hashai. 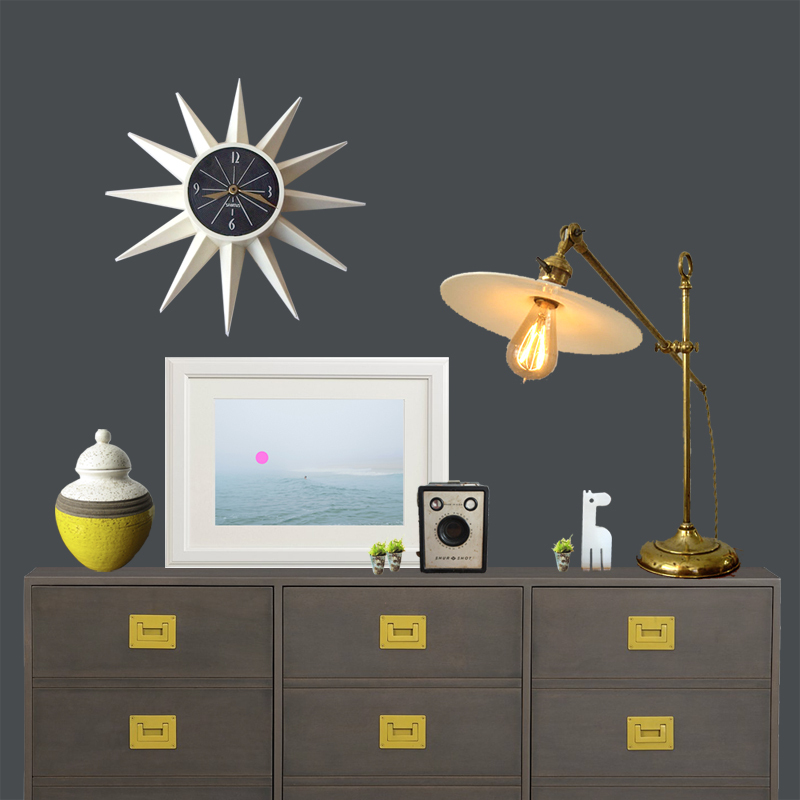 So, for this week's vintage vignette, I decided to do a deliciously, deep grey/black wall. Anyone out there also have a black wall you wanna share or rub in my face how awesome it looks?